Yeahhh! Finally I have 200 followers and 1000 likes on my blog. Thank you so much for all the support. 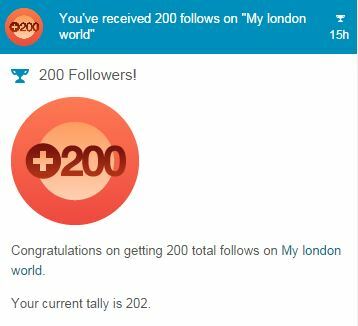 I believe for most of you, this doesn’t seem to be a achievement, but for me, this has given me a huge motivation to continue blogging and to share my experience to all of you. Starting up a blog was actually just a small idea flash through my mind one day when I was alone in my hall, realizing that I might only have three years to stay in London. I knew that lots of the memories in my university life would be forgotten as time passes by. That’s why I thought I should write it down for myself and also take this opportunity to share my daily life with others.